– denim on denim: DONE! – platform shoes with chunky heels: ABSOLUTELY! – smart spring layers: YUP! 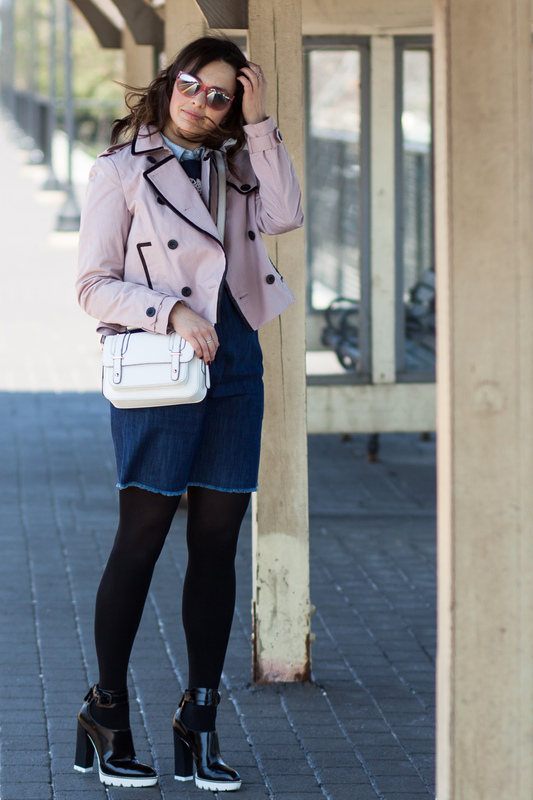 – cropped trench in oh-so-popular-this-season dusty pink: GOT THAT! And even though I’m never the first in line for the trendiest pieces, I do occasionally enjoy playing with bits of season’s favorites and try incorporating them into my wardrobe. I much rather prefer to use trends for inspiration, and don’t follow them blindly. After all, even Yves Saint Laurent himself was of the opinion that “fashions fade, style is eternal”. So be smart about it, follow the fashion industry wisely and always stay true to your own style!